The one hundredth anniversary of the rediscovery of Machu Picchu has occurred and the site has become one of the most popular tourist destinations. Archaeologists originally believed that the site was a palace or estate for the Inca emperor Pachacuti who lived from 1438 CE to 1472 CE. Now, archaeologists are beginning to think that the site may have been created for different uses. 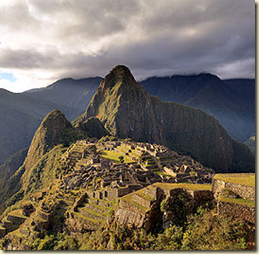 Machu Picchu is located 2,430 meters or 7,970 feet above sea level. It sits on a mountain ridge and looks down on the Urubamba Valley. Construction on the site began around 1400 CE and was later abandoned approximately 100 years later when the Spanish Conquest began. One theory is that the site was built in an area that was sacred to the Inca people. The Inca considered the Urubamba River to be sacred. Machu Picchu is built on a mountain which is circled almost completely by the Urubamba River. The site is also positioned so that the rising and setting of the sun is in alignment with mountains that are religiously significant. This is something that is unique to Machu Picchu. The site also may have acted as a temple that was dedicated to an order known as the Virgins of the Sun. These women lived at Machu Picchu and were responsible for maintaining sacred fires, the weaving of sacred and royal clothing and even the preparation of ritual food. They were supervised by women known as Mama Cuna and governed by a high priestess known as the Coya Pasca. A third theory was that the site acted as a royal retreat for the Incan Emperor. It was believed that the site was used so that the royal court could hunt, entertain guests and generally relax. 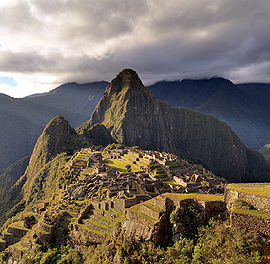 It is unknown how long the court would have stayed at Machu Picchu. The theory was developed in the 1980’s and was based on a document written in the 16th century. It referred to a royal estate that was named Picchu and which was constructed in an area close to where Machu Picchu is actually located. Another theory states that Machu Picchu may have been built as a way of recreating a mythic landscape that was important to the Inca people. The theory is that Machu Picchu acted as a kind of Mecca for the Incan people and that the journey to the site was actually a recreation of the harrowing journey that their ancestors took. The pilgrimage is believed to have begun at Lake Titicaca which lies on the border between Peru and Bolivia. The path that they followed went underground for a distance before it emerged in an area close to Cusco. 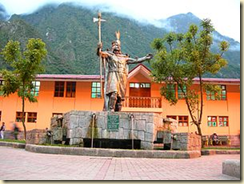 A final theory states that the site was actually an Inca city known as Vilcabamba la Vieja. 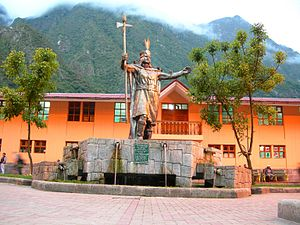 This was the site where Inca rulers maintained their independence and fought against the Spanish conquistadors that were invading the Inca Empire in the 16th century. This theory was disproved when archaeologists identified the refuge in Espiritu Pampa which was a jungle site located approximately 80 miles west of Cusco.